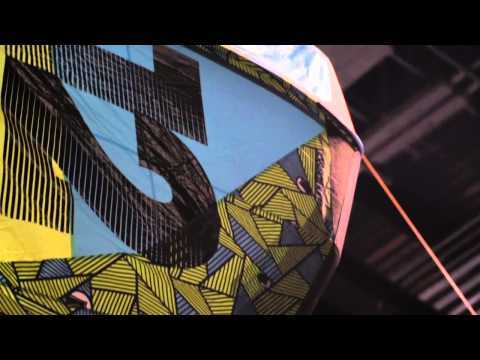 The HiFi X 2 is a kite built for champs. It is a freestyle powerhouse machine, suit for world class competitions. It is designed to accommodate aggressive riders that are pushing their skills to new levels on a daily basis. As the guys at Liquid Force say, the HiFi X is the natural choice of the champions. Solid power delivery, awesome boost and pop and sharp control are just a few of the features that make it an incredible new-school machine. The new HiFi X by Liquid Force has performance and competition written all over it. It is a powerful and sharp kite, designed for advanced riders that love to ride faster and harder each day. It is designed by the Liquid Force engineers in collaboration with pro rider Christophe Tack, one of the best kitesurfing athletes in the world. The kite is perfect for new school technical tricks, massive kiteloops, or old school freestyle. It is operated via a five line system which provides accurate control plus perfect depower and relaunch. A symmetrical panel layout is used to ensure a uniform stretch and improve overall durability. The C-specific shape provides explosive pop and direct control. The HiFi X offers a light bar pressure, but precise slack control. The kite flies at the center edge of the wind window for optimal power delivery and impressive low end. It features adjustable trailing edge connections for custom turning speed and bar feedback. The five strut configuration keeps it crisp and prevents back stall and flutter. Thanks to the Synergy Strut construction, the HiFi X is rigid and direct. The high sweep wingtips ensure faster turning speed, as well as quick relaunch.